When completing a task form press TAB to navigate from form field to form field and within form field options. 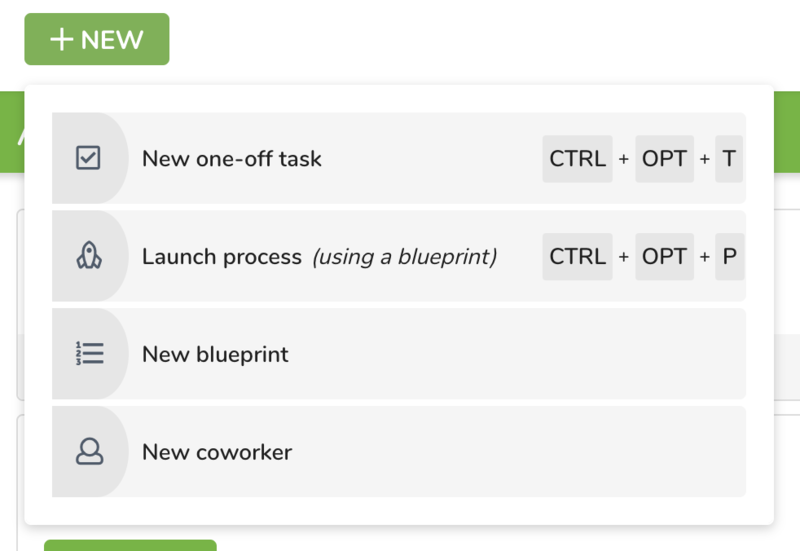 To quickly add a one off task anywhere in the app (except when in a process or blueprint) press CTRL + OPT + T at the same time. To quickly navigate to the blueprint library to launch a process press CTRL + OPT + P at the same time.